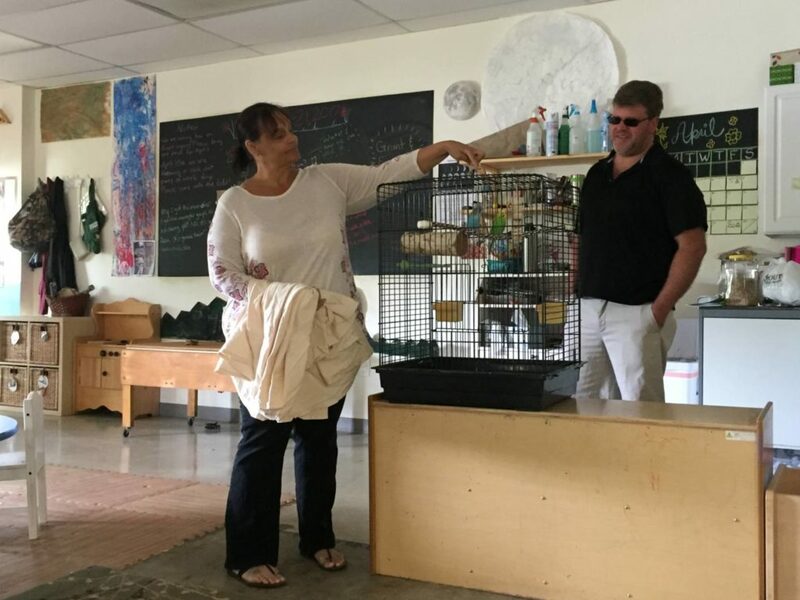 Thanks to a donation by Miss Jolees’ neighbors, our classroom welcomed two new winged friends, an older green parakeet named Fabio (or Favio) and a young blue parakeet who is still yet to be named (we hope to vote on it next week.) 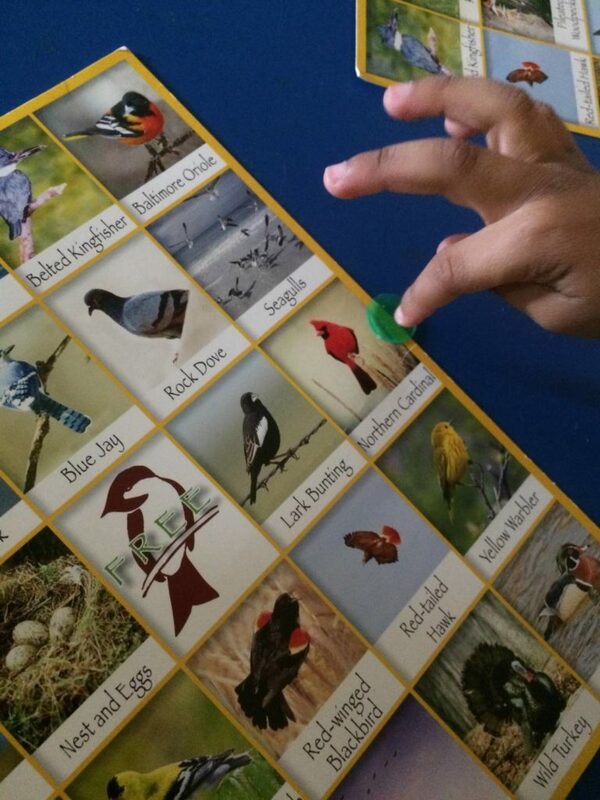 The excitement over our new pets has helped drive our classroom interest in birds through the week. 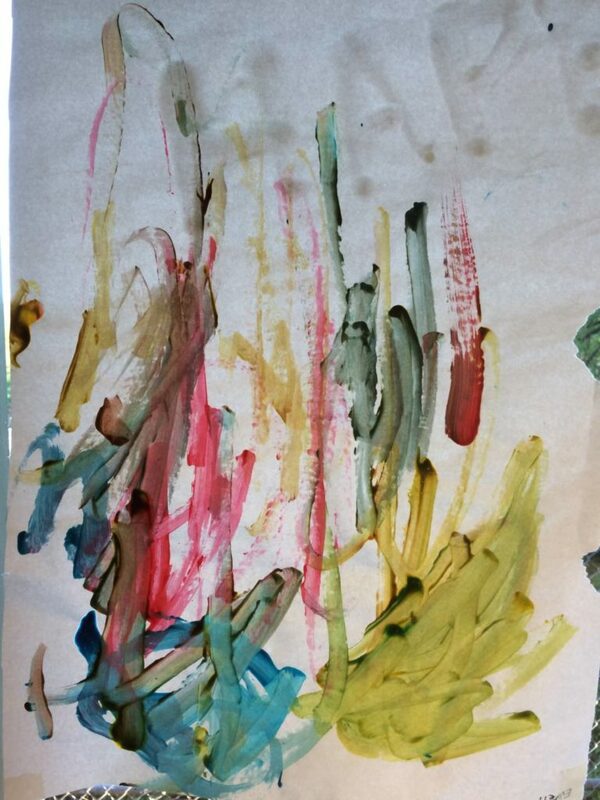 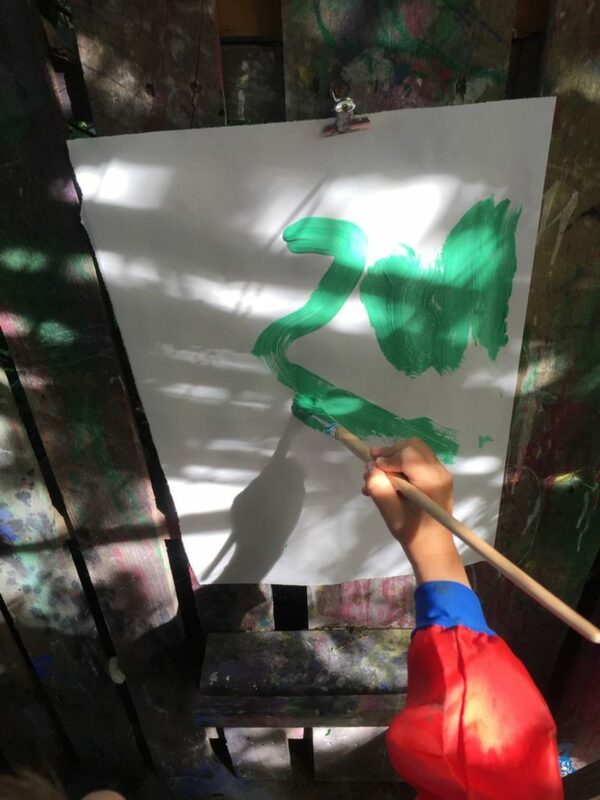 After discussing the color of each bird, we welcomed the kids to paint and draw in the same colors. 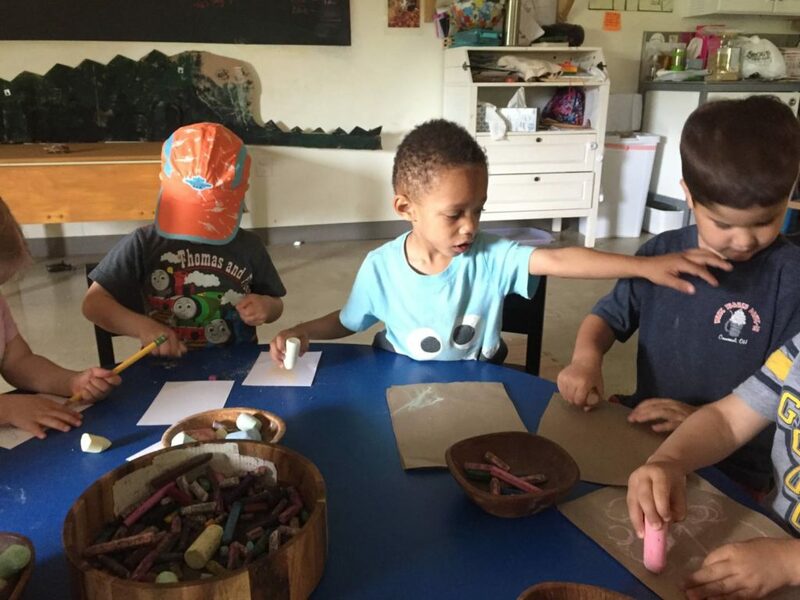 Children showed their own unique styles of creation in each piece of art work, using long lines, dots, swirls and circles. 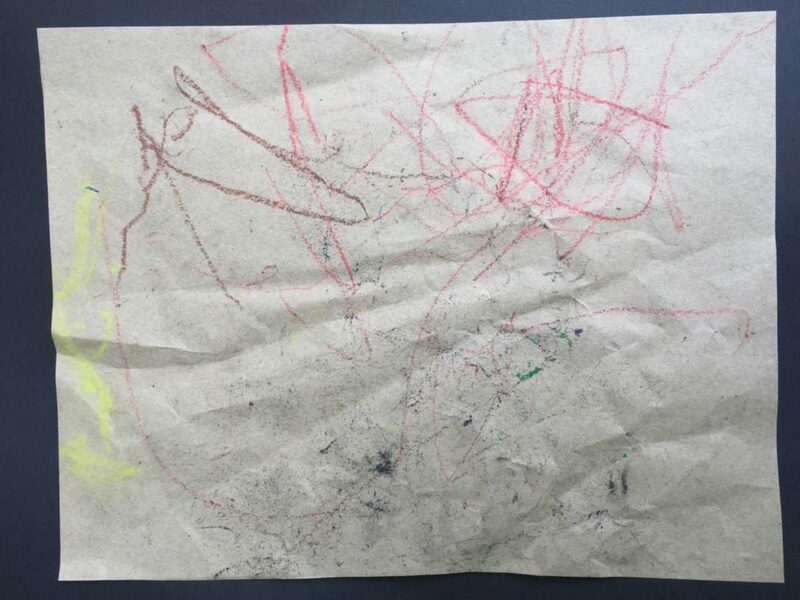 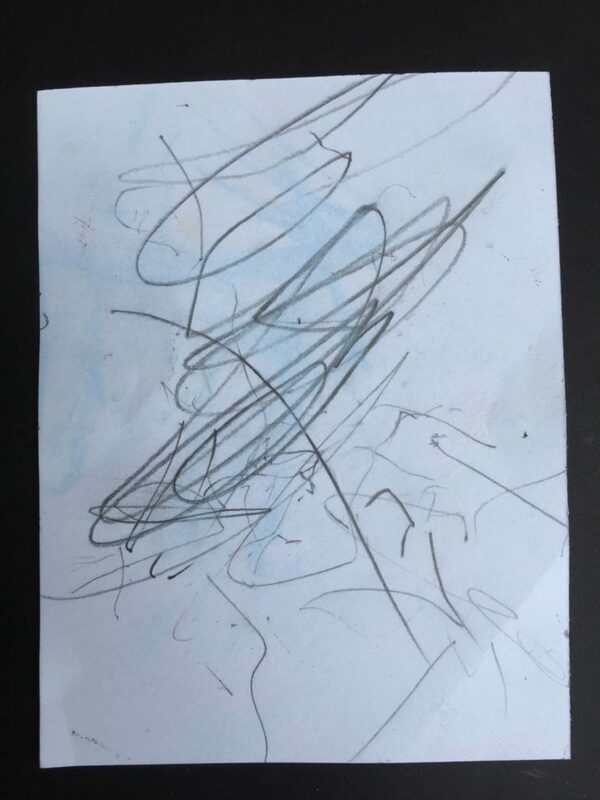 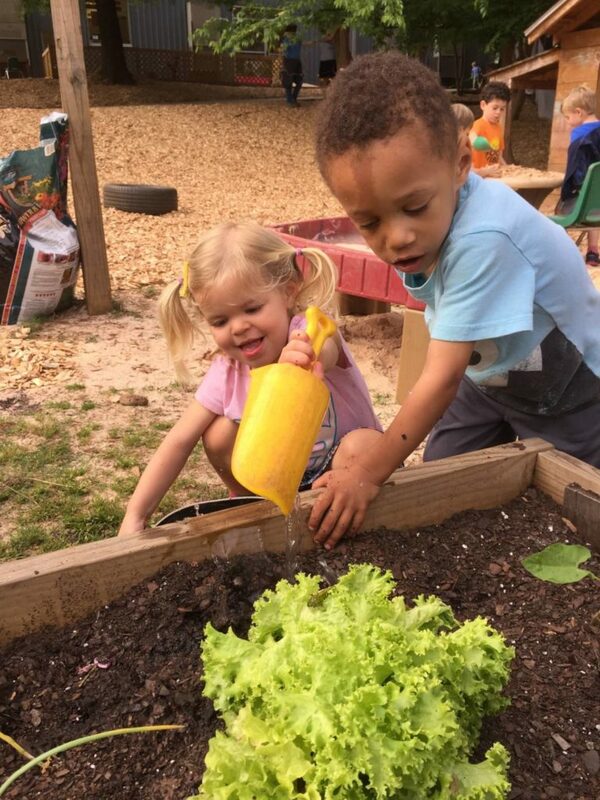 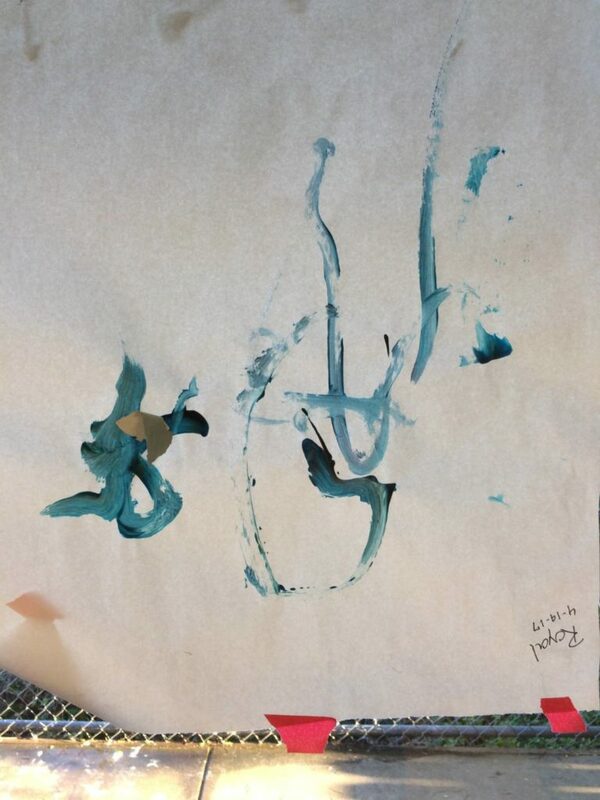 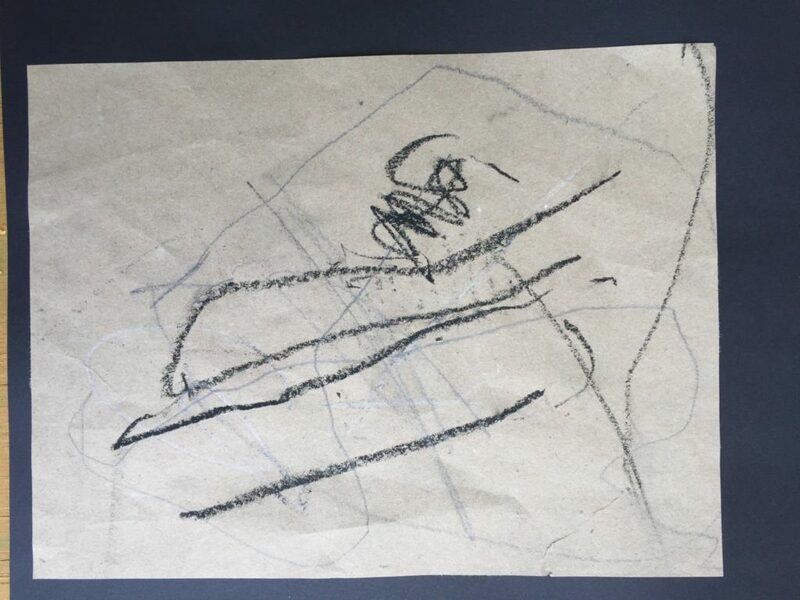 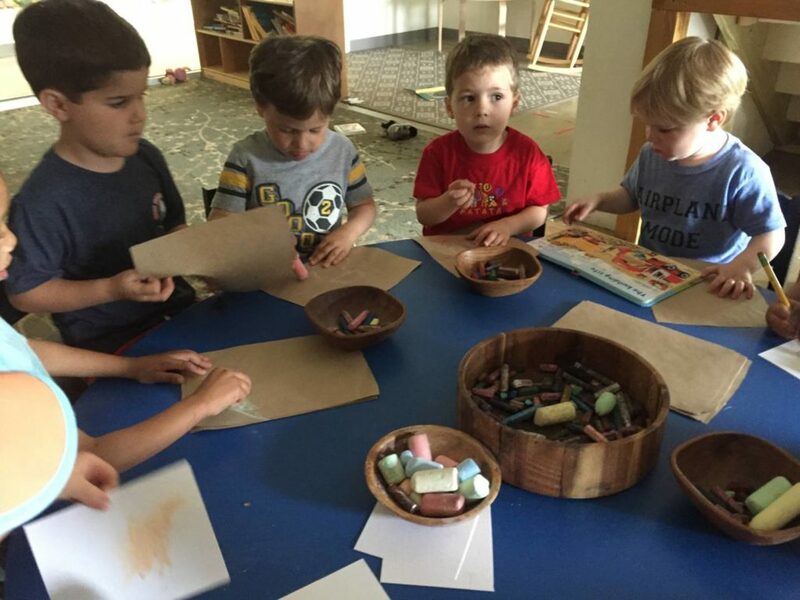 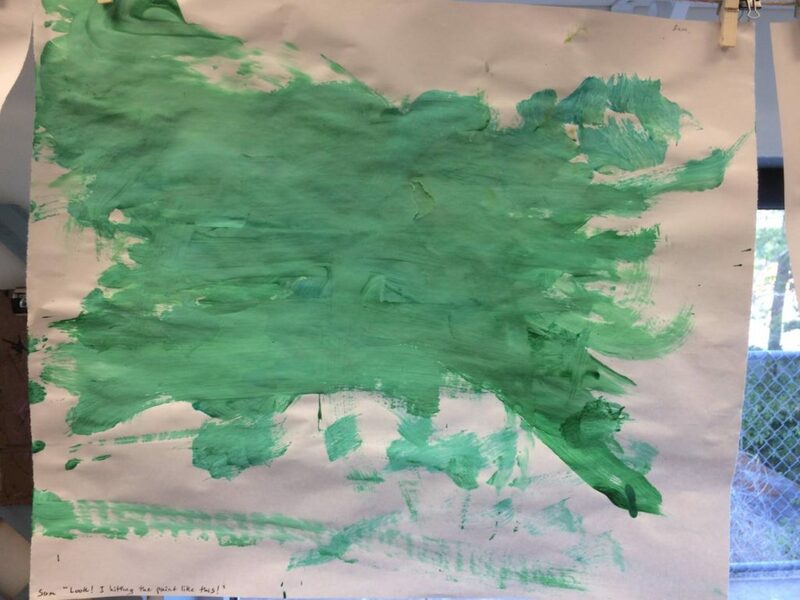 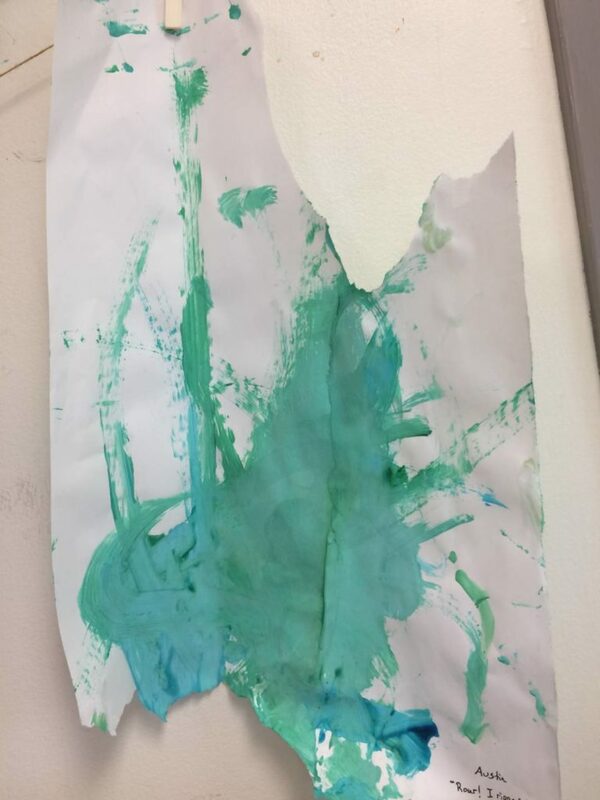 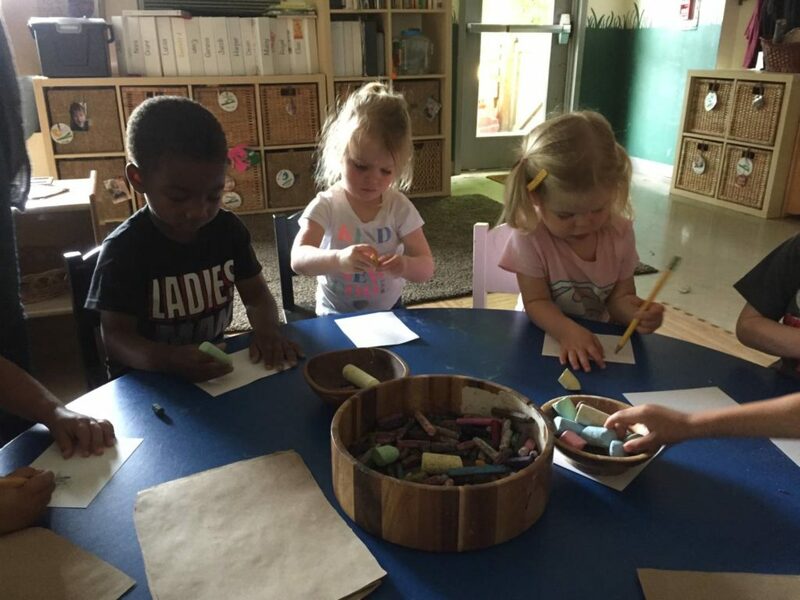 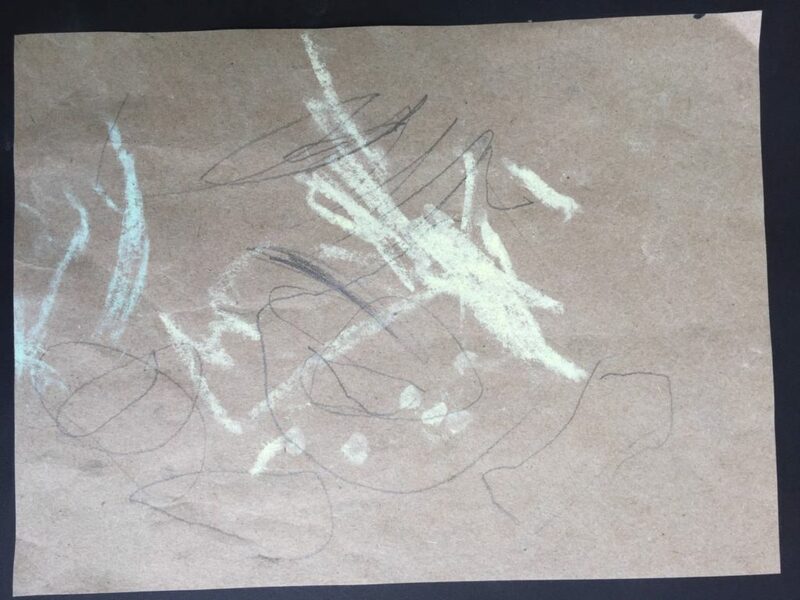 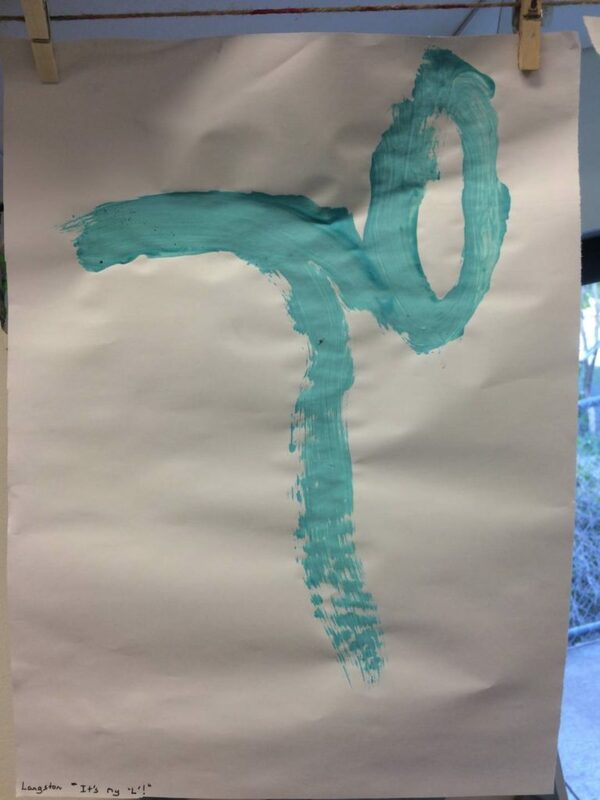 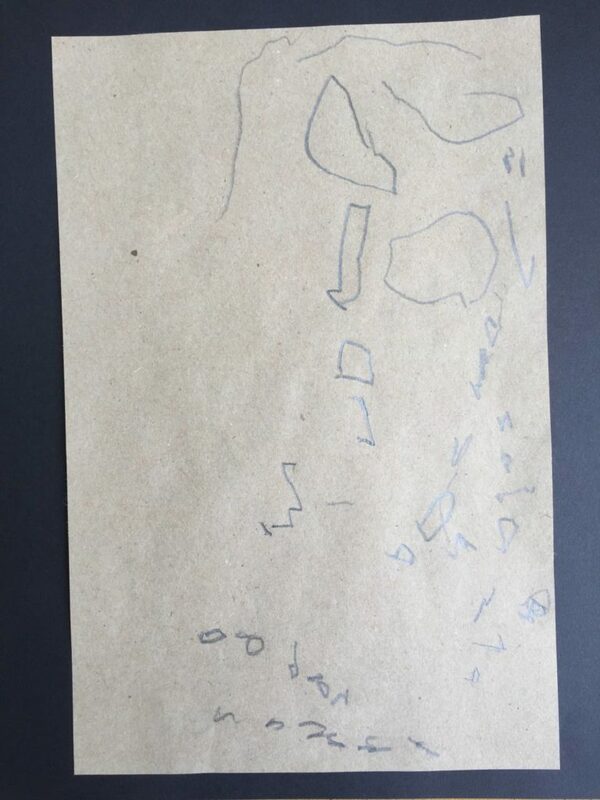 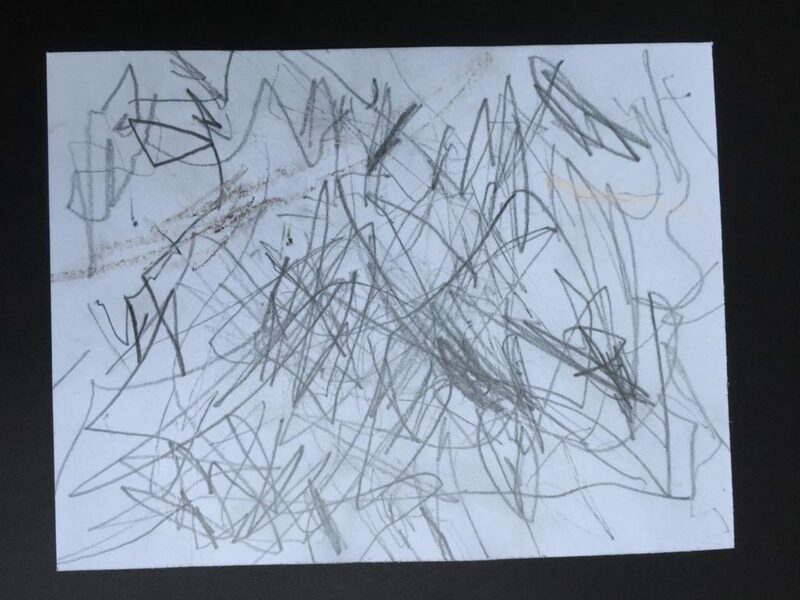 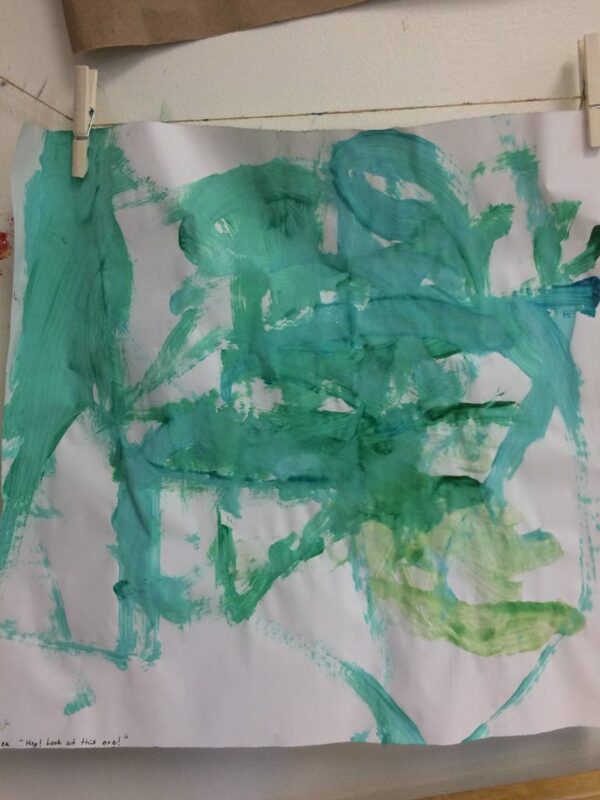 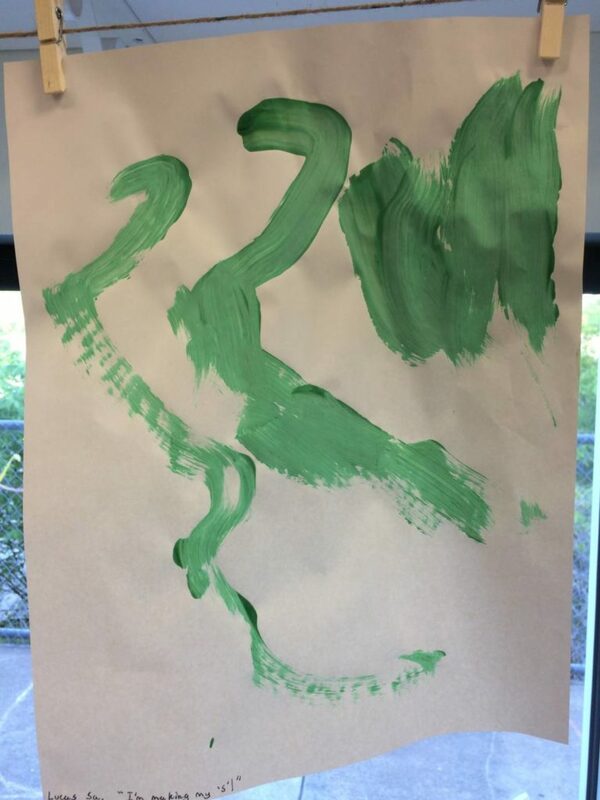 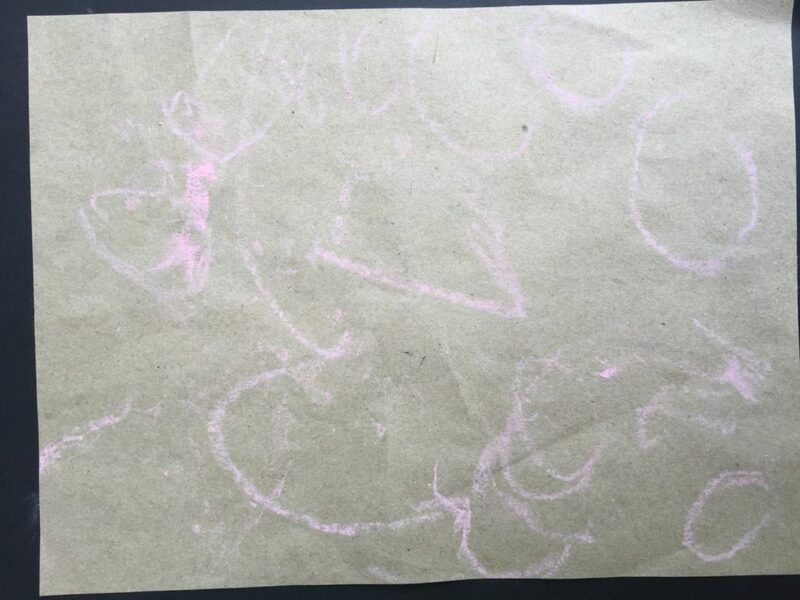 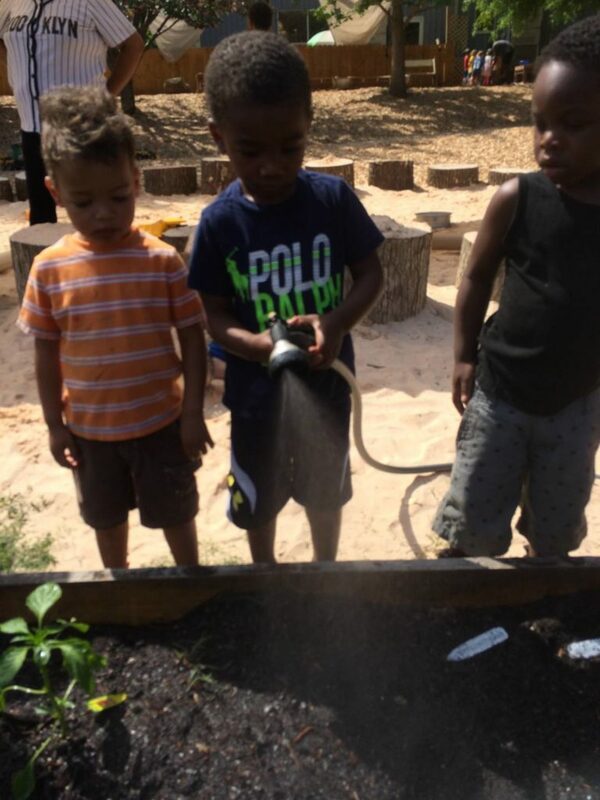 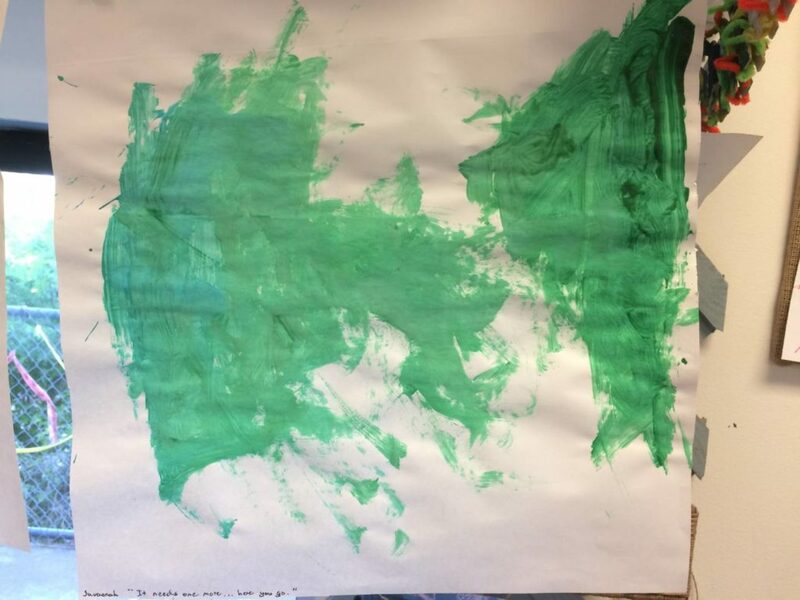 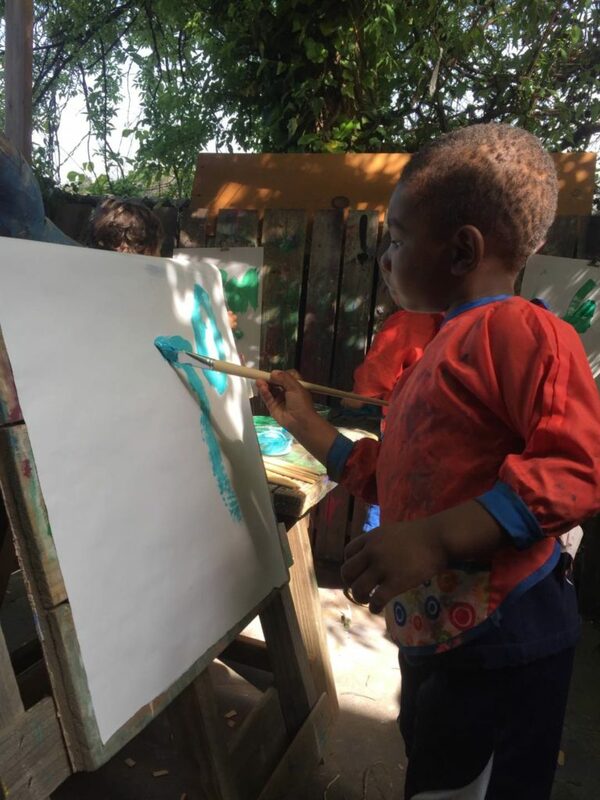 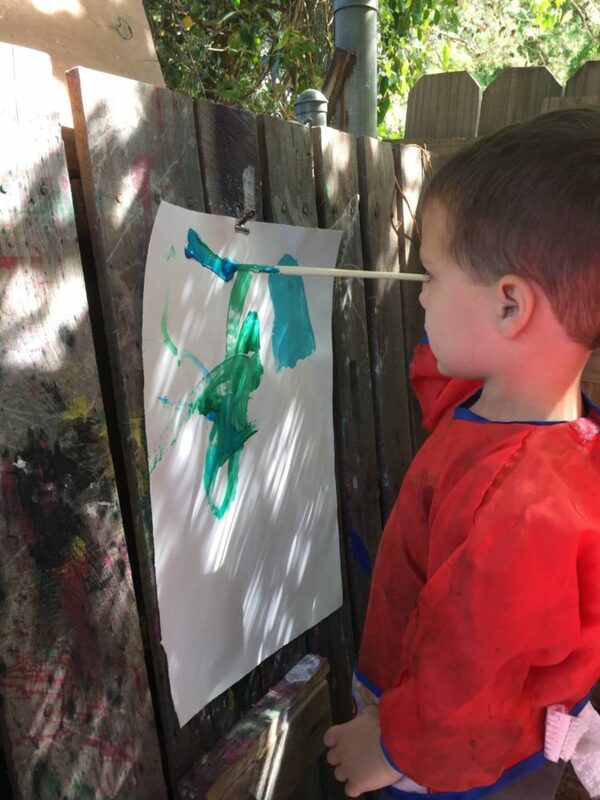 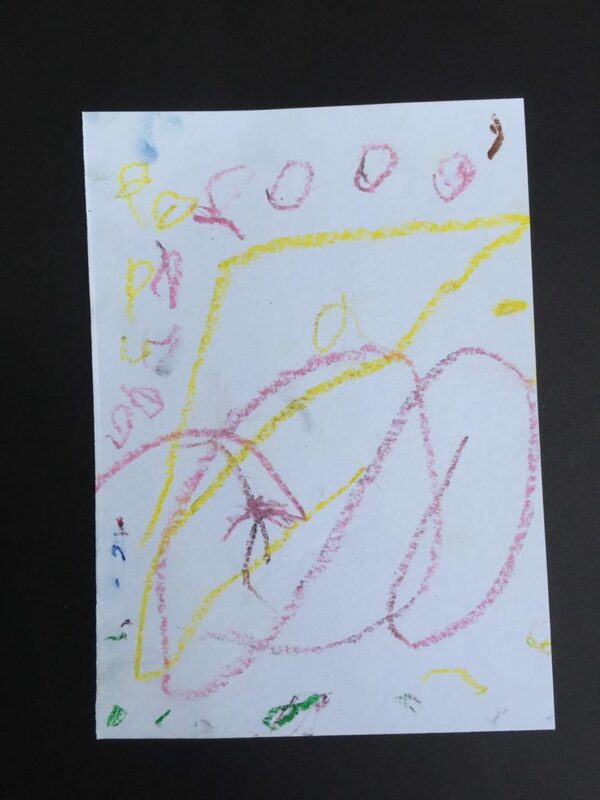 Some children even brought their interest in letters into their creations, as Langston painted an ‘L’, Lucas painted multiple ‘S’s, and Alexander “wrote his name” with tiny circles. 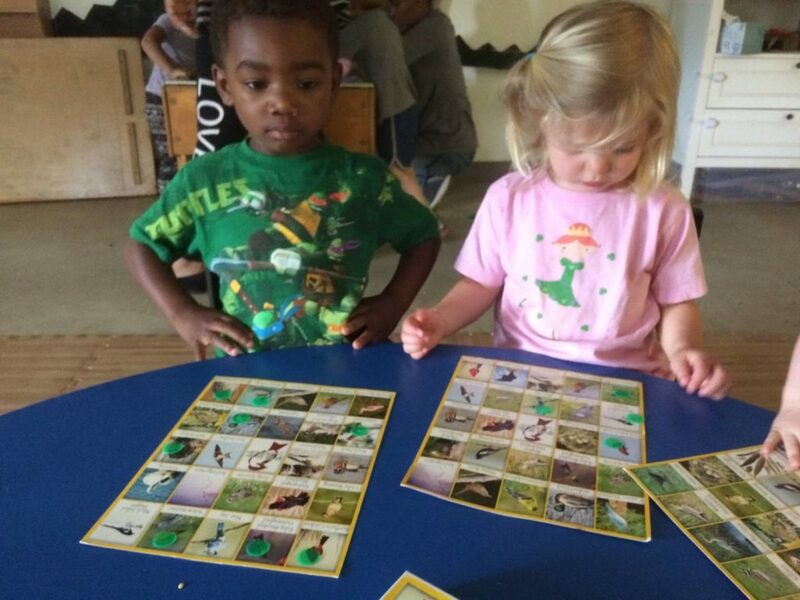 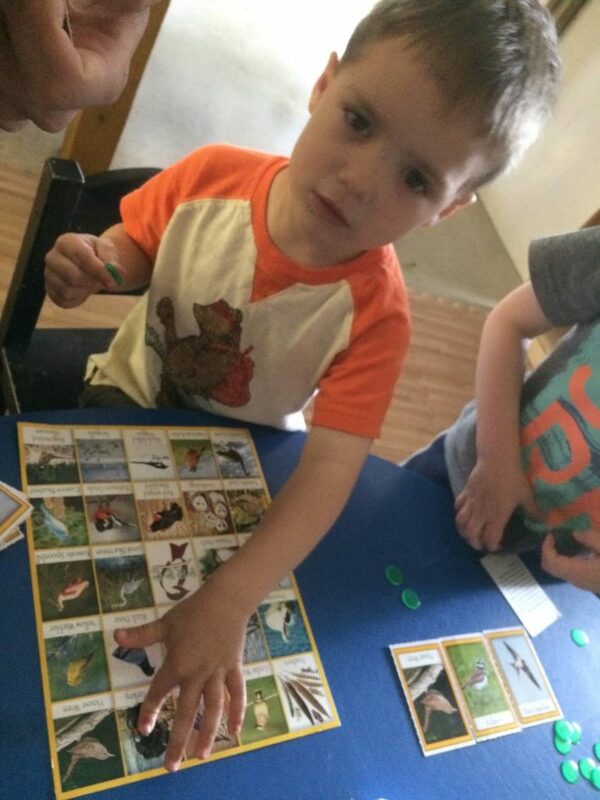 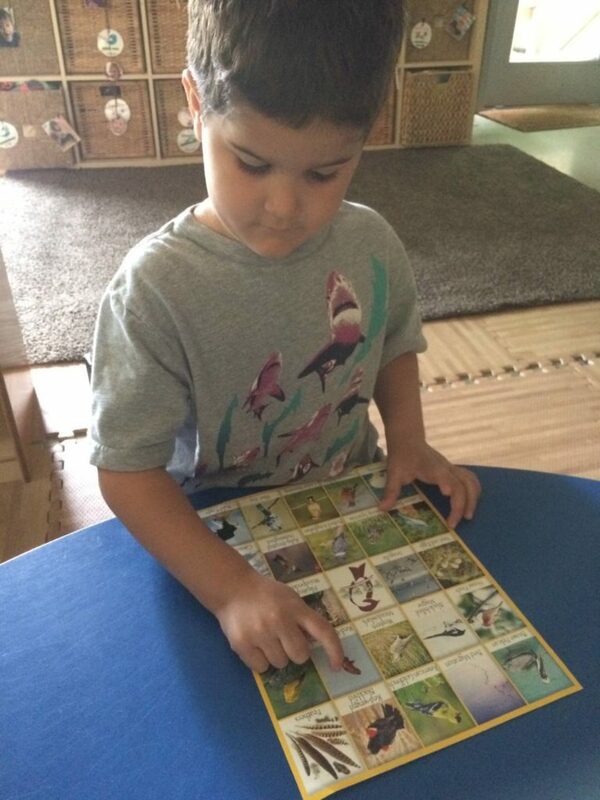 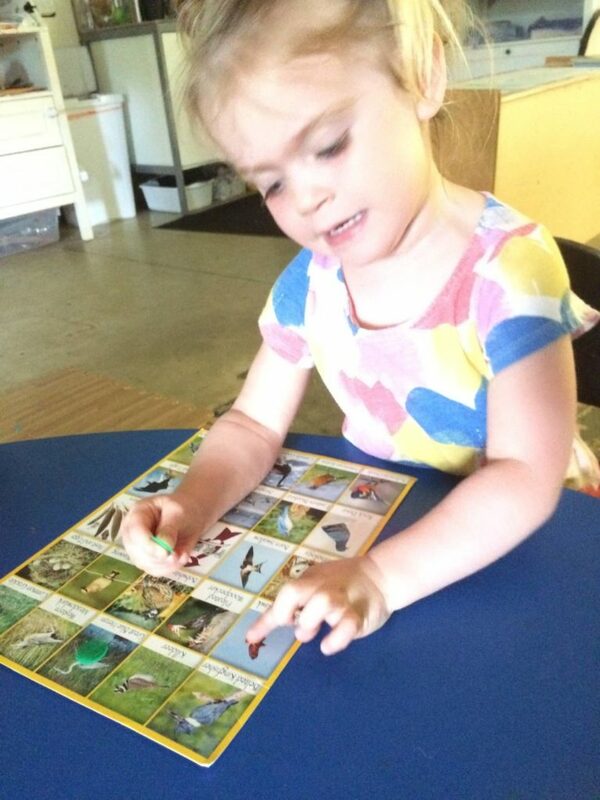 Borrowing one of Pre-K’s favorite games, Bird Bingo, we combined our research of different types of birds with matching and memory skills. 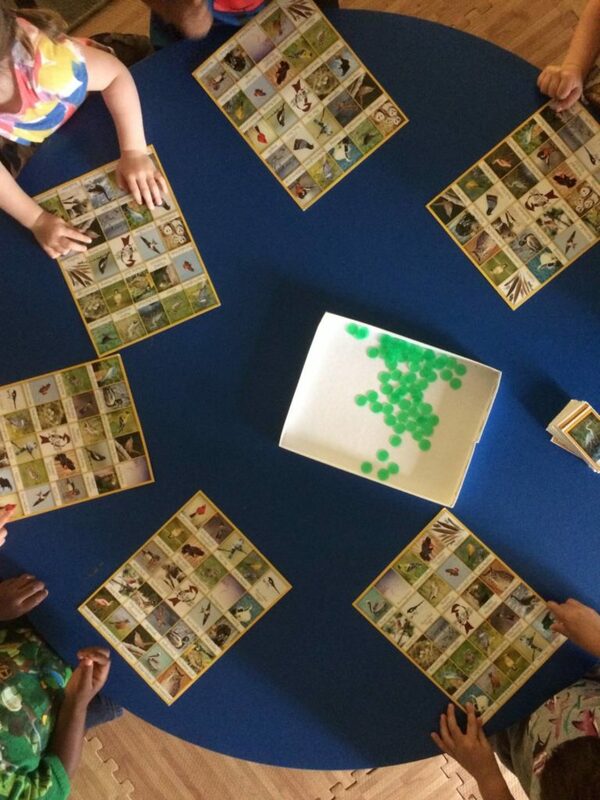 A large group gathered around the table fascinated by the beautiful images of birds and we talked about the different characteristics as we pulled out each card. 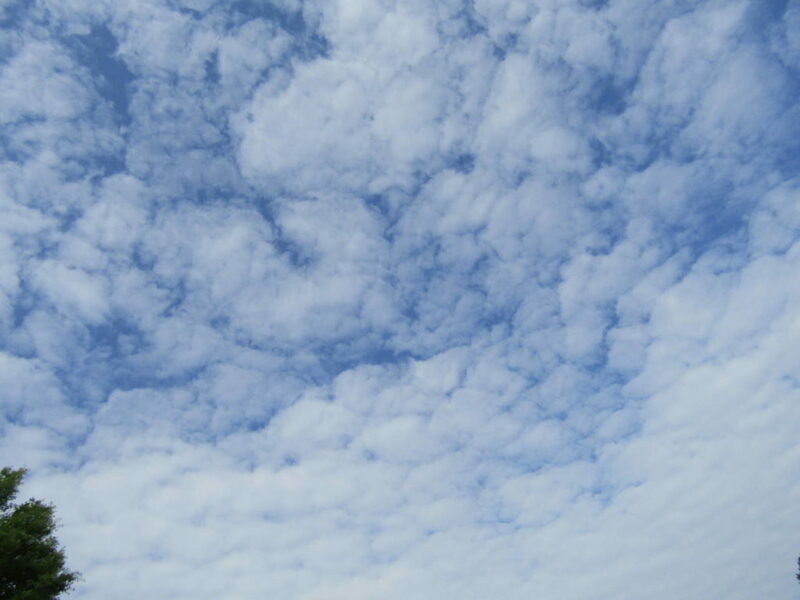 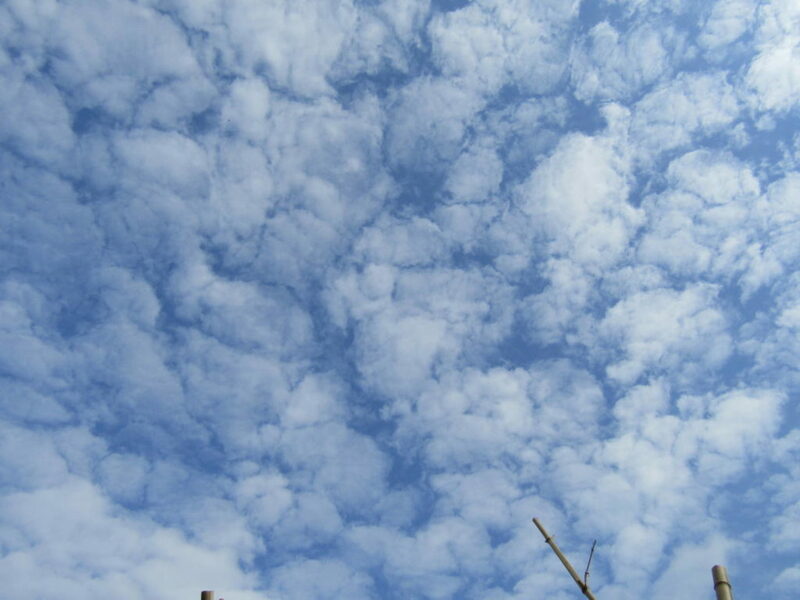 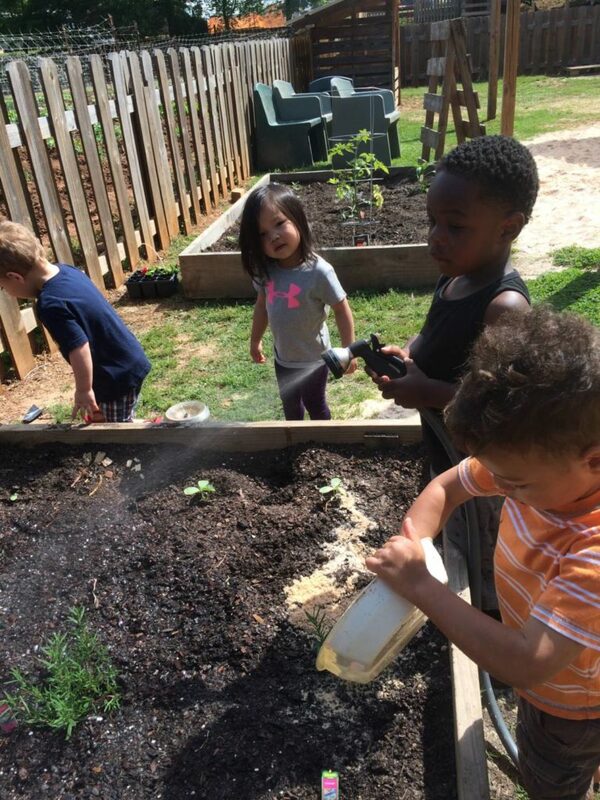 As we continue offering the children our teacher camera on the playground, more beautiful images emerge. 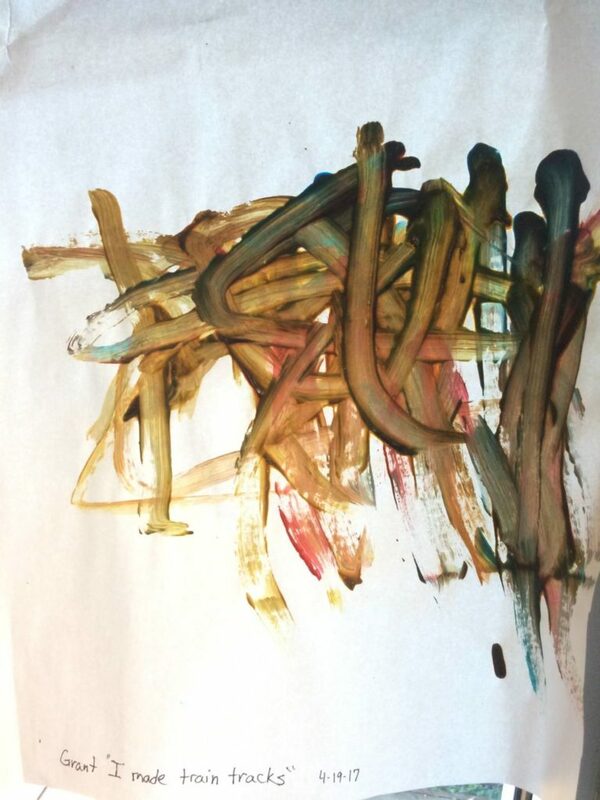 With no direction other than asking, “What do you think is beautiful and interesting?” we have started to see a pattern of certain interests. 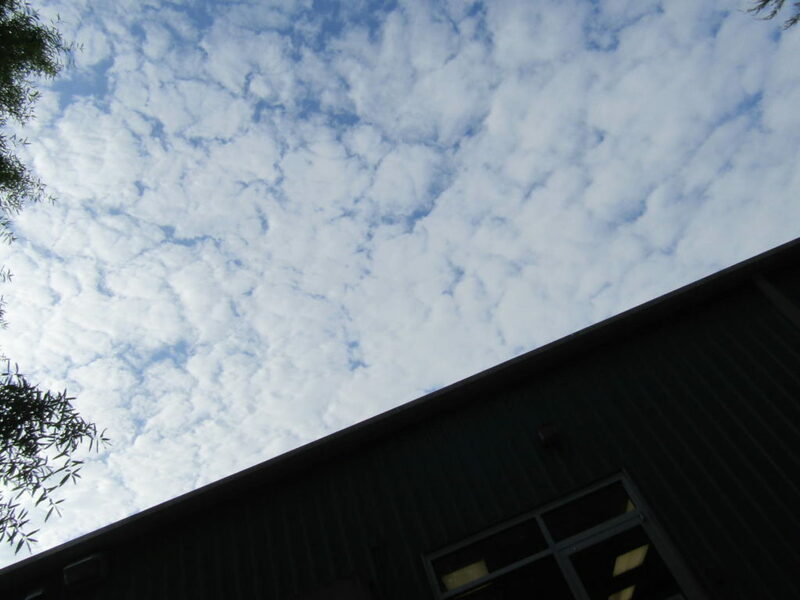 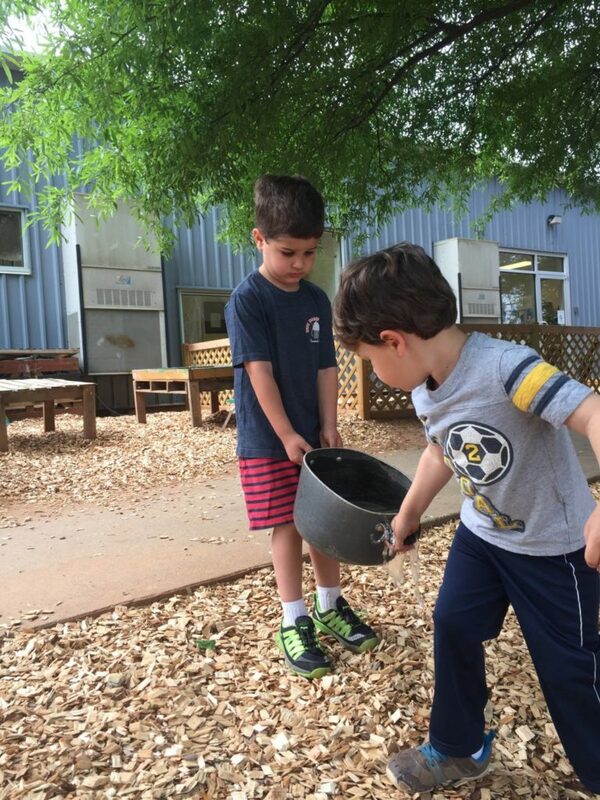 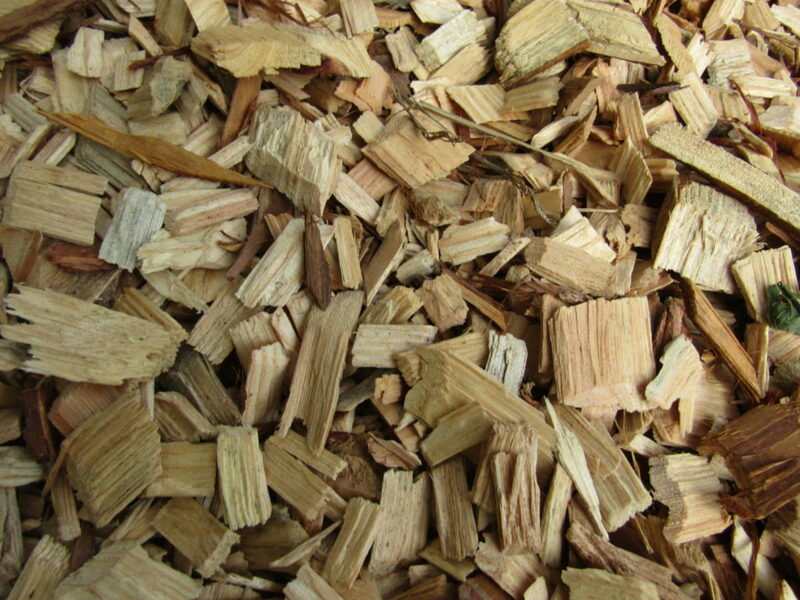 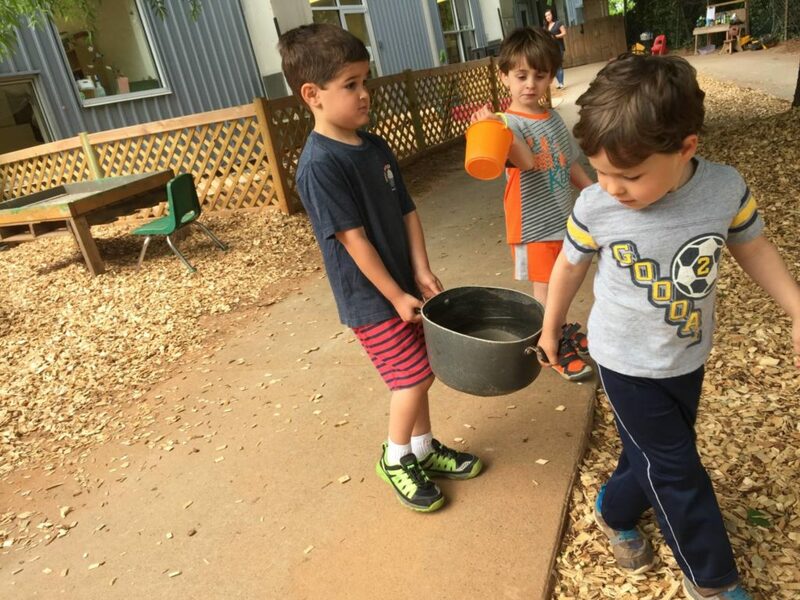 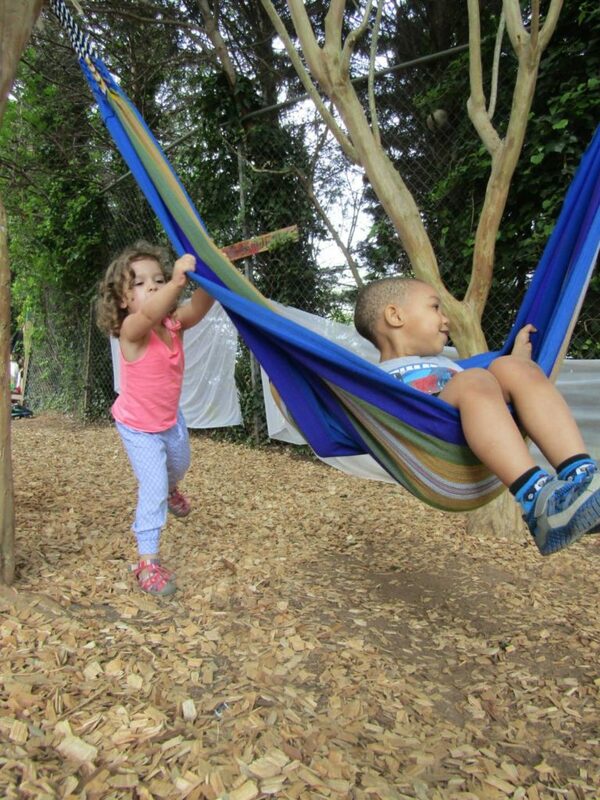 The clouds and the sky have been a constant source of inspiration, while our new woodchips and hammocks sparked interest as well. 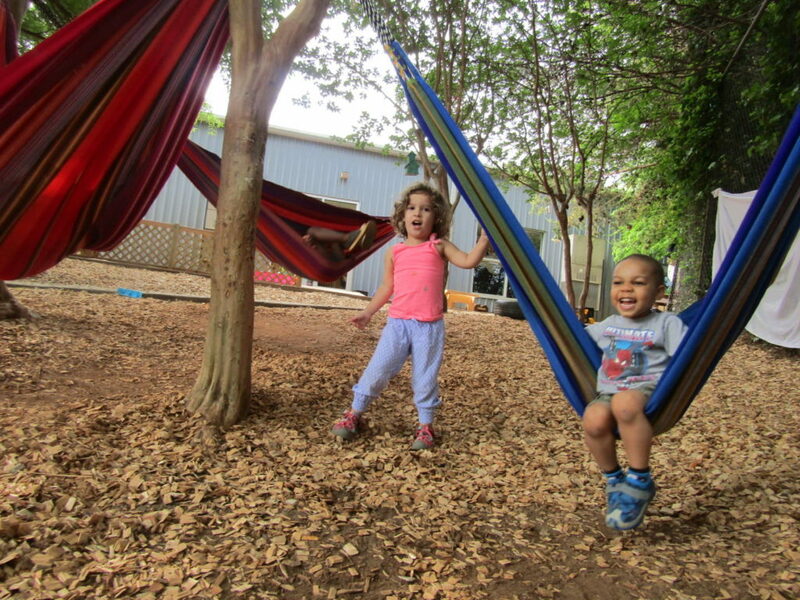 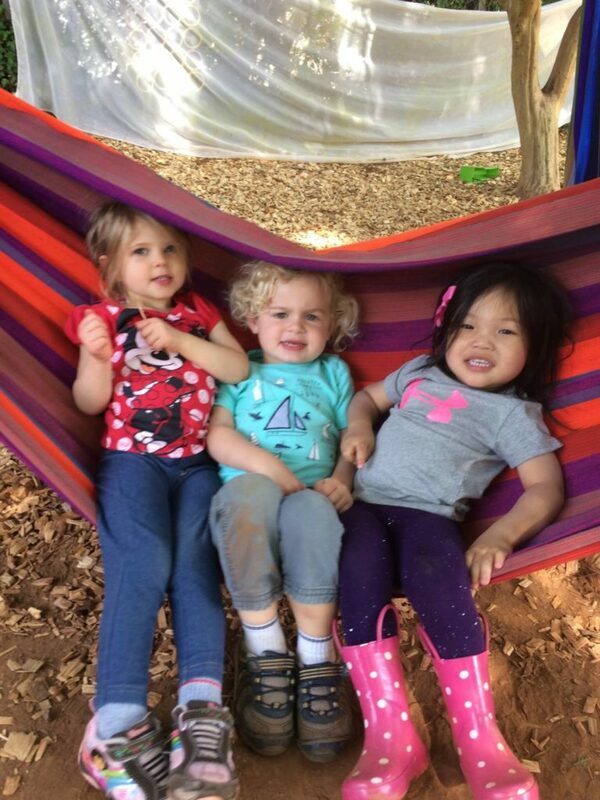 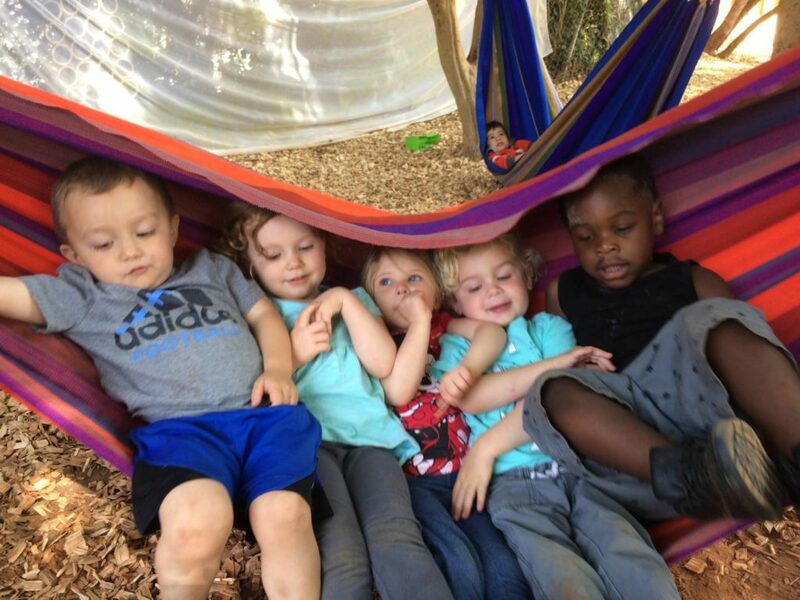 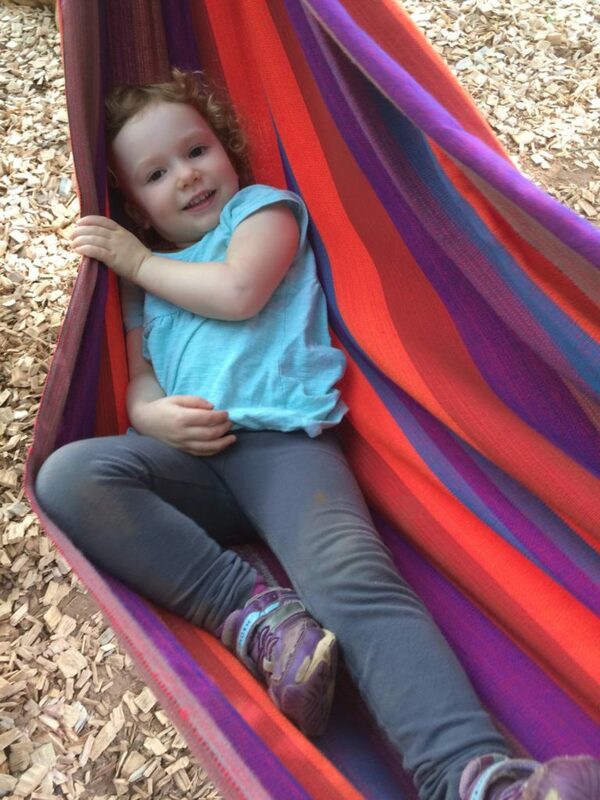 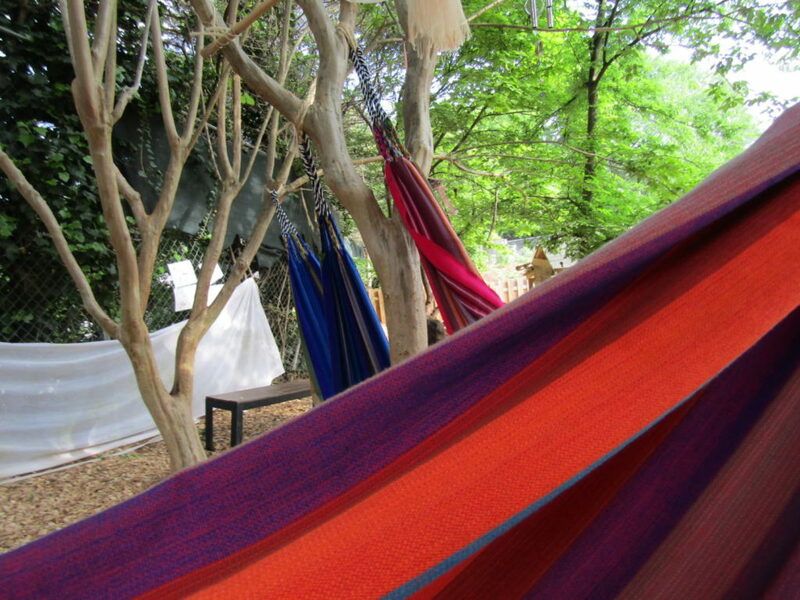 On the playground, we have been taking care of our garden and lounging in our new hammocks.